We are going to share an easy trick by which you can easily check your antivirus capabilities. You just need to go through the whole post to know whether your antivirus is working perfectly or not. Today you must be using antivirus in computer and laptops. And there are many antiviruses that are accessible now that scan your computer and then eliminate viruses from your computer. But the virus is flattering more vulnerable day by day. But do you think your antivirus is strong enough to detect the developed viruses that are generated every day? As many of you might me using some of the premium or advanced antiviruses but you didn’t want to waste your money on them? So let’s check it with the best trick for How To Check whether Your Antivirus Is Working Perfectly Or Not. This is a very manageable method that will check the methodical working of your antivirus. Just read the below method to proceed. So let’s test your antivirus that is it is competent to scan some of the harmful viruses that can damage your computer a lot. The method is very simple and based on a simple notepad trick that you will get to understand after reading below steps. So just go through below steps to proceed. Step 1. First of all, click on start and then type notepad and press enter. Step 2. Now notepad will open, and there you need to paste the given code below. 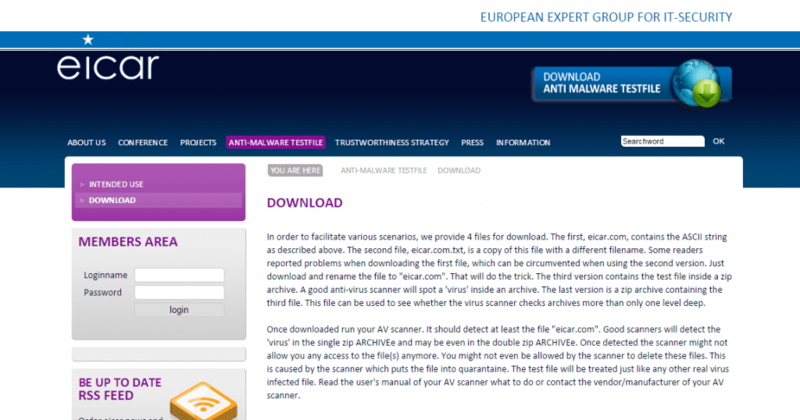 Now scan this file with your antivirus and check if your antivirus detects it. If it detects it then your antivirus is working perfectly. Otherwise, you need to change your antivirus as soon as possible. You need to visit an online site in order to perform your Antivirus as well as Internet Security test. You just need to download any of the Security test files from that website and your installed antivirus must stop this download. So if it successfully interrupts your download then your antivirus is all ok, or you need to change it as soon as possible. Step 2. Now scroll down and you can see the option of “Download area using the standard protocol HTTP” you can download each and every file there. Once downloaded, your antivirus must come up with a security alert about the download virus test file. Eicar provides 4 files for download. The first, eicar.com, contains the ASCII string as described above. The second file, eicar.com.txt, is a copy of this file with a different filename. Some readers reported problems when downloading the first file, which can be circumvented when using the second version. 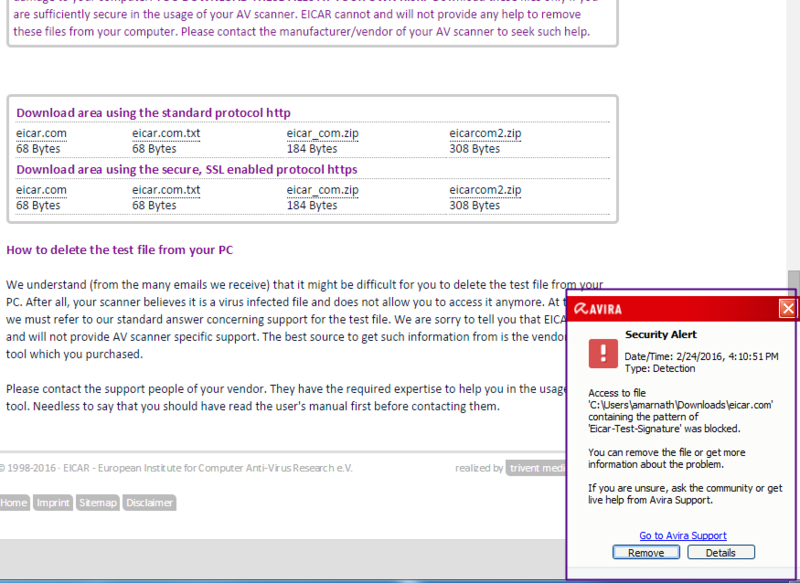 Just download and rename the file to “eicar.com”. That will do the trick. 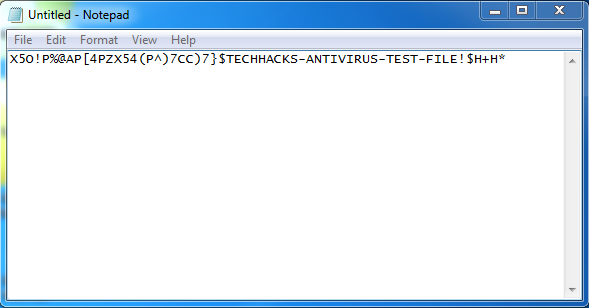 The third version contains the test file inside a zip archive. A good anti-virus scanner will spot a ‘virus’ inside an archive. 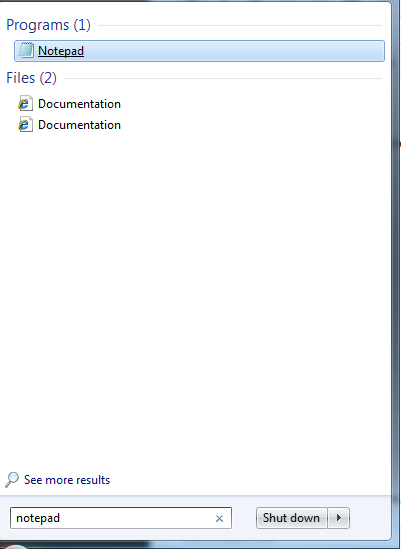 The last version is a zip archive containing the third file. This file can be used to see whether the virus scanner checks archives more than only one level deep. TestMyAV is a website with a single purpose – to get people testing anti-malware solutions for themselves. Rather than trusting vendors, testing companies and sales people. 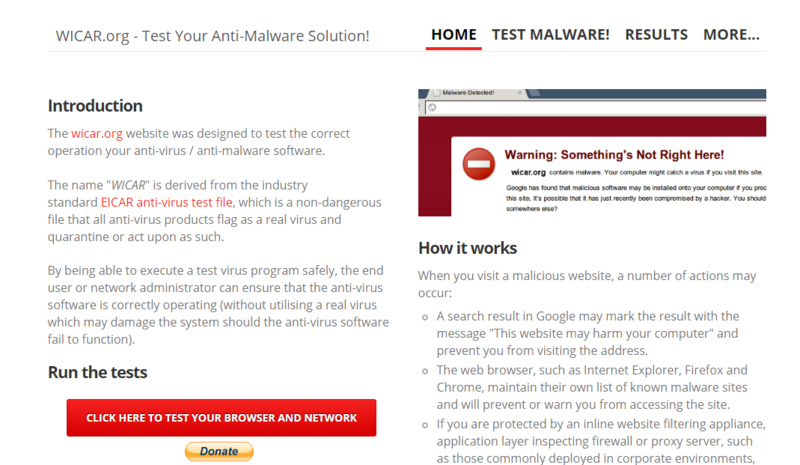 This website gives you malware’s and viruses to download and test your antivirus. You can always start basic testing to test your antivirus software. 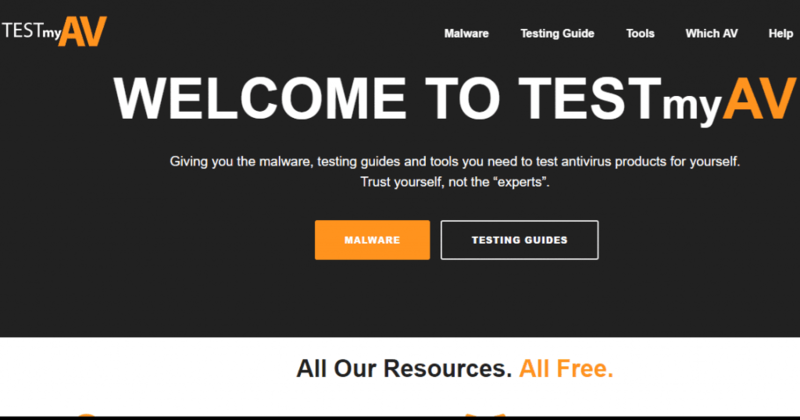 Users just need to go to the website and find the “Testing Guide” page and can download fresh malware to test their antivirus software. WICAR is a similar type website like EICAR. It provides virus, malware and much more files which are meant to be detected by your Antivirus program. Each test will open up a new browser window at http://malware.wicar.org/. You may wish to try each test systematically. Ideally, all tests should be blocked by your anti-malware defenses. If blank window loads, then it likely was not detected/prevented. Simply visit this link. 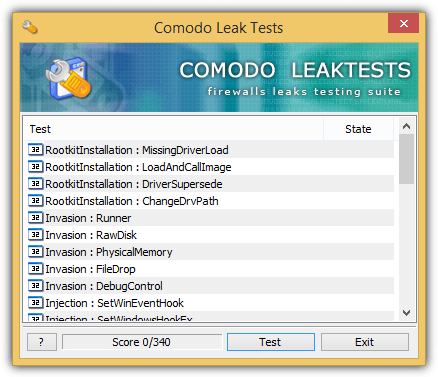 Comodo Leak Tests is one of the best Leak test tools that you can use on your Windows operating system. The best thing about Comodo Leak Tests is that it’s backed by the leading security company COMODO. The tool basically tests for leaks in firewalls and HIPS Program. So, for that it runs a total of 34 different tests which includes rootkit installation, sending information, injection, etc. So, if your Antivirus tool is capable enough, then it will stop the Comodo Leak Tests tool from performing the test. 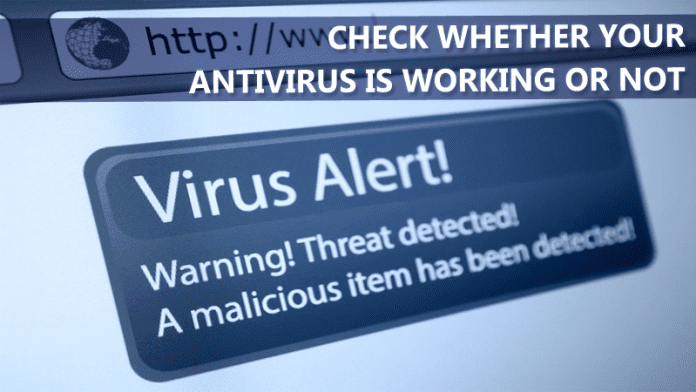 By this way, you can analyze whether your Antivirus tool is working or not. Secunia Personal Software Inspector (Secunia PSI) is an extremely useful tool that everyone should have on their computer. 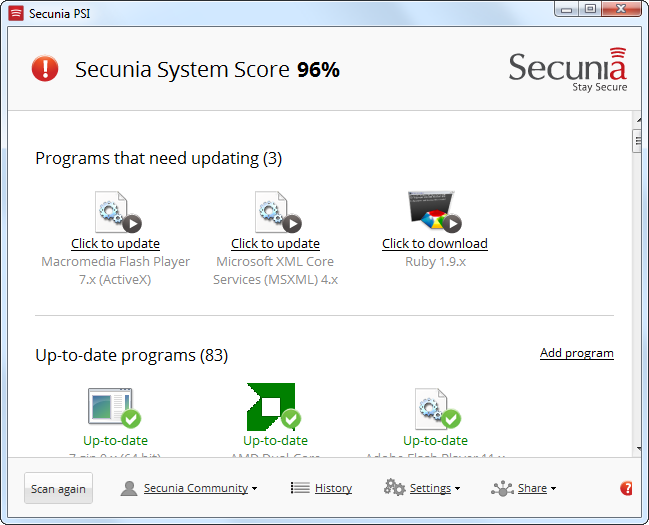 The ultimate goal of Secunia PSI is to check whether the software installed on the computer was up to date or needs any security fix. The tool Secunia PSI will ensure that Antivirus tool will catch the latest virus or security threats. So, it’s not actually a tool to test your Antivirus, but it can help to make your Antivirus tool more capable. Do not worry about data loss if you have data recovery software; here you can use EaseUS Data Recovery Wizard to get all back. So above is all about How To Check Your Antivirus Working Perfectly Or Not. Now by this arrangement, you can test any of antivirus and also you can choose one of the best antiviruses for your reassurance and security of your personal data and operating system which might get contaminated by these viruses. Hope you like the article, don’t forget to share it with your friends and leave a comment below if you have any related queries.